Orb is the name of the most accomplished music composition Artificial Intelligence in the world. It is designed for composers, bands, orchestrators or simply everyone fond of music. We propose 6 «basic» music templates to help you pre-select a musical environment: Orchestral, Strings, Piano, Electro, Pop-Rock and Ambient. Structure your song as you want! You can add as many block and bar items as you wish, it's fast and easy! With the chord diagram you can drag-and-drop all different chords, from simple to complex ones, and create your own harmony. Choose the instruments you want to use for your composition, and for each instrument fine tune settings easily. Import your melodies and use Orb to create your own musical arrangement or orchestration. Creating music with Orb Composer is easy and fast, but gives you full control over the music as well. 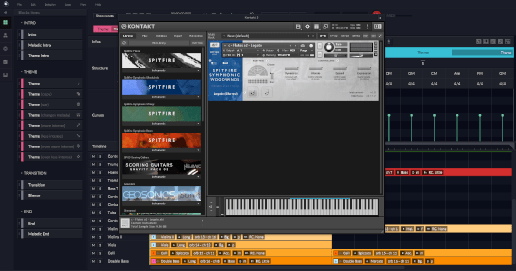 Each instrument and articulation can be directly connected to your VST/AU instruments, allowing a 100% stand-alone usage of Orb Composer, without any DAW connection. It is useful for drafting, experimenting, and making an “instant music creation” with a light setup. Orb Composer also provides audio export features and can be connected later to a DAW in the same project. All the instruments are editable directly inside Orb Composer as you would do inside a DAW. 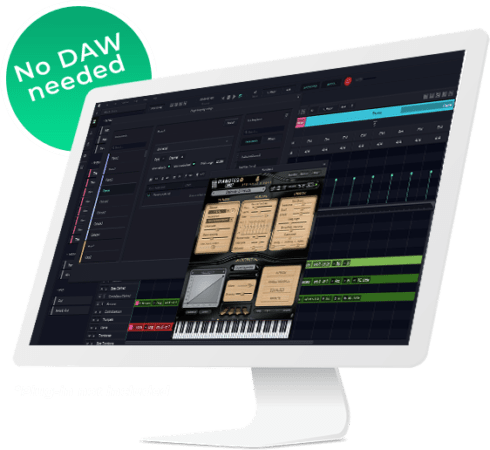 A complete mapping tool is provided to sync all instruments and articulations within your DAW if you want to use your DAW. Orb Composer synchronizes itself with any popular DAW : Logic, Cubase, Pro Tools, Reaper, Live and Studio One. Orb Composer works with all pro versions of them (see FAQ for accurate DAW compatibility). By rooting MIDI notes to your DAW, Orb Composer plays your compositions live. The notes created inside Orb Composer are directly sent to your own virtual instruments or hardware synths loaded inside your DAW. 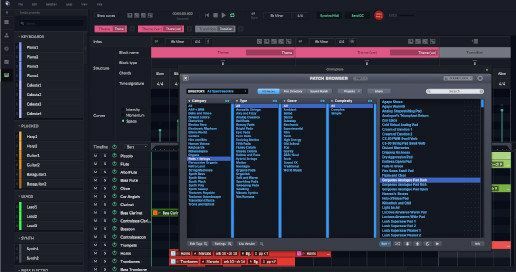 Listen to the tracks in real time through your favorite DAW and adjust all the music parameters live.